Wheelchair Curling – About The Sport. Serve It, Smash It, Win It, Love It. With Wimbledon just around the corner, it’s not long until Tennis Fever will start to grip the country, and we’ve got just the answer! Every Wednesday night you can get on the court and work on that Grand Slam winning forehand. Come along to Lynch Sports Centre from 19:00-21:00 on Wednesday Evenings for expert coaching and great fun. The first hour is outside, weather permitting, so check our Facebook and Twitter pages for up to date announcements. Another Dragon has been called up to the elite Scotland WRL Squad! Gemma Lumsdaine got the news this week that in addition to representing Scotland U19s at the Lord’s Taverner’s Junior Championships in Wheelchair Basketball, she will also be representing Scotland at the Sainsbury’s 2014 School Games – and now there’s the small matter of a Wheelchair Rugby League Four Nations to compete in as well! We’re over the moon for Gemma here at DragonsHQ, If ever there was proof that hard work on the training court really does reap big rewards! This means we have 5 club players actively representing Scotland at international level, a real honour for the club. 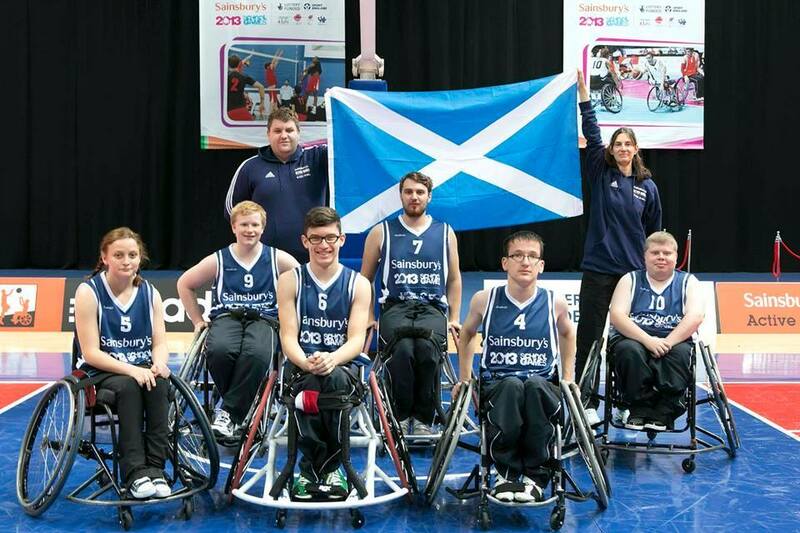 Dundee Dragons Player Gemma Lumsdaine, far left, pictured here at the 2013 Sainsbury’s School Games, representing Scotland in Wheelchair Basketball. Match Report: Grampian Flyers Open Day. Dragons Picking Up Their Dundee Community Spirit Award. Back L-R: Jay O’Reilly, Farana Latif, Kevin Rattray, Bill Lamb, Sally Lumsdaine, Jen Scally. Front L-R: Gemma Lumsdaine, Elizabeth Ferris, Stephen Carling.